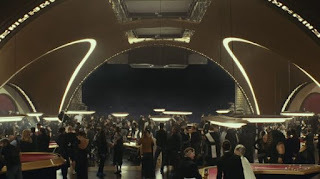 STAR WARS AFICIONADO WEBSITE: EPISODE VIII: 'SCUM AND VILLAINY' - GOING TO THE NEXT LEVEL! EPISODE VIII: 'SCUM AND VILLAINY' - GOING TO THE NEXT LEVEL! 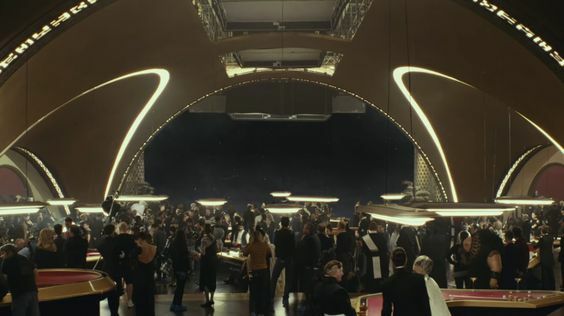 We're used to seeing low life scum in the STAR WARS universe - bounty hunters, informants, killers and thieves of the Outer Rim, now The Last Jedi shows us a different but no less memorable side of villainy at the lush and decadent Canto Bight casino on Canto, bringing in a diverse and powerful variety of all-new corrupt evildom, whose distinguished clothes and wealth-on-tap peoples and patrons can't hide their true, petty, greedy veneers, and status as collaborators to anyone who'll widen their bank accounts, be it Resistance or First Order.